Sites scrambled like the dickens when Facebook launched its Like button a few months ago, plastering the button all over their content. But now they’re finding out what happens when FB goes down and you don’t have a contingency plan. As an example, check out what just about every article on CNN looks like now. 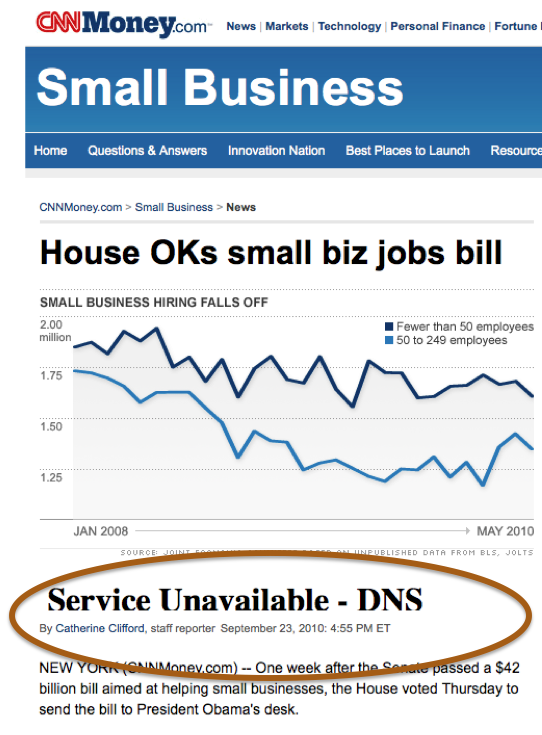 Where the ‘Like’ button would normally be, there’s a gigantic “Service Unavailable – DNS” error shown. Ouch. The NYT handles this a little better; the Like button is still shown and you don’t get the error until you click it. But still – this ain’t purty. Facebook seems to be back up now. But I wonder if the outage is going to cause some of these major sites using the Like button to assess what contingency plans they could enact should the FB API fail again. It’s a relevant question to ask.